On September 24th, a vulnerability to the Bash command line utility that many of the world’s web servers use, was exposed. Some are calling it even more of a problem than the Heartbleed vulnerability earlier in the year. We would like to be clear that our servers have been tested and are not affected by this vulnerability. This is by far the most common dilemma that do-it-yourself web masters come to us about. Back in the early 2000’s, we catered a lot to Microsoft FrontPage users — one of the nice things with MS FP was that it had a form handler built in to the server side, if you were to publish your site with FrontPage Extensions. Of course, FrontPage and FrontPage Extensions are not much more than a fading memory. Dreamweaver is king when it comes to web development these days, but there is no native form handling function built in to Dreamweaver. For some time, in one form or anther, we have provided in our web templates some facility to process form data. So that, when someone hits “submit” on your form, something, somehow, bundles up that data, and sends you an email. Recently, we developed a simple but handy little script that you can use, free of charge, to handle your form submissions. Primarily, most do-it-yourself web developers are not familiar with server side scripting languages. How do the form fields get from the web page, to your email box? It isn’t all that complicated, when boiled down to a few lines of PHP code, but suffice to say, if you get one thing wrong, it isn’t going to work. We put together a little script that simplifies the configurations. There is even a facility for using the Google reCAPTCHA facility, for blocking spammers. We include this in our web template download packages. We’re offering it here for the community should you want to use it. While we are providing this form handling solution free of charge, should you want us to install, configure, or troubleshoot it for you, there may be a nominal fee for our time. You may contact us for more details. FYI: There are more detailed instructions within the process_form.php file itself. Make sure you publish up your “process_form.php” script, as well as any page that contains your form, up to your web server. If you are transitioning from a “submit.server-apps.com” form, the above steps are ALL you have to do, as version 1.6 of the form handler will take the from configurations that already exist in your form, and send along the data to the right email address. Many inventions or developments are the result of some sort of necessity or frustration. 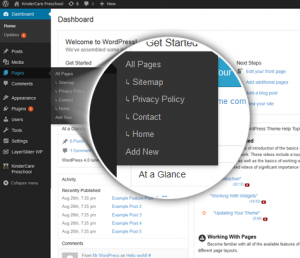 In the development of our most recent version of our WordPress Theme Framework (v4.2) that is a part of our latest generation of WordPress Themes, I finally got so frustrated with the WordPress dashboard not having any facility to quickly edit recently edited pages, that I wrote a plugin to add that functionality. You probably are familiar with this type of functionality with such applications as Word, Photoshop, or just about any program that “edits” files. To be honest, I’m surprised that this sort of functionality doesn’t already exist — WordPress has so many great features built in to the core. Maybe they’ll consider this in the future, but for the being, you can have it here. I’ll probably be updating it in the next month with more features (most recent posts, set the number of items to display, link color). If you have any ideas for functionality you would like to see in this plugin, let me know. I’m pretty excited to announce that version 4.2 is now accessible to all Aquila Framework based WordPress themes in our catalog. This means, if you already have one, you can run an update and get the latest version of the framework. This version is a HUGE update. Literally, I’ve been working on it since June 18th — three whole months. Why so long? Lots and lots of cool new features, many distractions, and also a lot of framework for some even “awesomer” features coming down the pipes for our next major WordPress Theme release. If you haven’t noticed, we haven’t launched a new WordPress Theme in probably four months — why? Because we’ve got something INCREDIBLE in the works. We’re hoping to have it out for November 1st. NEW Framework built to handle primary/timed themes, for future new product types. NEW Timeline Layout for Blog added. NEW Technical Support now available directly from a new ‘Support’ tab. NEW Slide interval and dimensions for native sliders now configurable. NEW Support for Retina resolution bitmapped logo. NEW Customizable FavIcon, iPhone, iPad, and iPhone/iPad Retina Icon feature. NEW Now choose from ALL 630+ Google Fonts on the Typography page. NEW Theme Framework will now come with a list of suggested (and possibly required) plugins. NEW Special MASKS are now supported for the InfoBox, Image, and new Flickr Gallery widgets. NEW New Flickr Gallery widget. UPDATE Contact Forms special component type has been completely revamped, with much better form builder design view editing. UPDATE FAQs can now be reorganized. FIX Resolved issue with Google Fonts not loading through import statement. FIX Resolved issue with widget columns not properly rendering. Plus a whole lot more that will go towards the next theme. There was so much work invested in a better UI/UX (User Interface/User Experience) when working with the theme settings with this version. Kind of like iOS7 was for Apple’s iPhones/iPad line. I’ll be updating the tutorials in the coming weeks, but most everything should be fairly intuitive. Last our Web Mastering program completed its signups of new clients. It is our position that we should never over commit ourselves when delivering a superior service. Until such time that we again open up the Web Mastering program, when we have more resources available to take on additional clients, we are allowing interested parties to join a wait list. By joining the wait list, you will get access to pre-order a plan prior to the program being opened up again to the public. We will notify you when we have positions available. 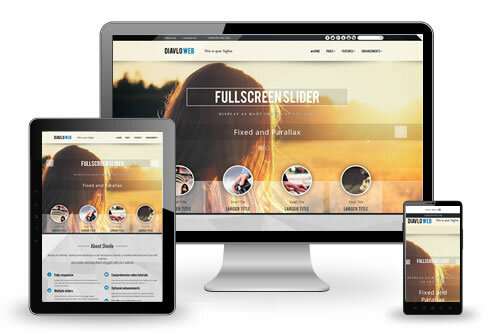 Did you know that you can one of our Dreamweaver Templates, plus ALL of our awesome website plugins, for just $399? I know, right? That’s crazy! Until Sunday September 21st, you can get this super Back-To-School special, saving over 60% (regular price is over $1000). We know that text-books cost a ridiculous amount, so save your money by buying all the plugins and Dreamweaver template at once. In fact, we’ll even install the plugins for you out on your server for you! Any questions? Give us a shout, toll free, at +1-866-943-5733. Oh, and one other thing! This applies even if you aren’t a student (well, duh, it should). But if you are a developer, we have a super deal on getting a developer package (unlimited use, all of the colors of the available Dreamweaver Template you choose), for just $999. That’s a savings of OVER $1500. Be sure to check out our catalog of awesome website templates. If you’re concerned about whether the latest version of WordPress will work with our WordPress Themes, I’m happy to announce that if you are running a latest update of our Aquila or Orion WP Framework themes, then you’ll be just fine. Back a couple of months ago, WordPress released v3.9 — and when they did, it broke a lot of websites. The most notable issue was that they upgraded the TinyMCE rich text editor to version 4 — the trouble with this was that many TinyMCE plugins are are not forward compatible (including the ones we were including in our themes). So, a huge headache ensued. But, we’re happy to report, after downloading it and looking at our current framework, that the upgrade to 4.0 from 3.9 has not caused any adverse affects on sites running latest version Aquila or Orion framework themes. However, if you’re running an older version of our frameworks, or one of our now discontinued and no longer supported Phoenix or Taurus framework themes, then you may not want to rush into updating — you’ll experience the same issues. For those sites, we can make a manual fix for you, however we would bill for the support involved, somewhere around $50 for a custom fix.